Patna : A case was filed against RSS chief Mohan Bhagwat in a court in Bihar's Muzaffarpur on Tuesday for insulting the Indian Army, a lawyer said. M Raju Nayiar, a resident of Muzaffarpur town, has filed the case in the court of the Chief Judicial Magistrate.The court has fixed February 15 to hear the case. Nayiar, in his complaint, said that RSS chief has not only hurt people but insulted Indian Army when he said in Muzaffarpur on last Sunday that the army will take six months time to fully get ready to fight but the RSS has the capacity to form an army within three days to fight against the enemy on the border. "The Rashtriya Swayamsevak Sangh is not a military organisation, but we have discipline like the military. 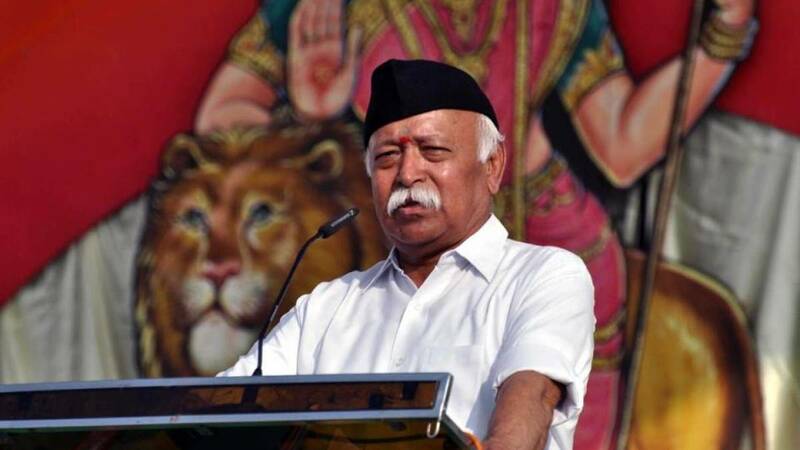 If the country requires and the country's Constitution allows, the RSS is ready to fight on the borders against the enemy," Bhagwat said at an RSS function in Muzaffarpur. The RSS chief is in Bihar on a 10-day visit.